Actigall (Ursodiol, USP Capsules) is used to dissolve certain types of gallstones from forming in obese patients. They are the ones who are losing weight rapidly. This is also used to treat a certain type of liver disease (primary biliary cirrhosis). How does Actigall (Ursodiol, USP Capsules) work? Actigall (Ursodiol, USP Capsules) enters the portal vein and undergoes efficient extraction from the portal blood by the liver. It is conjugated with either glycine or taurine and is then secreted into the hepatic bile ducts. This medicine is concentrated in the gallbladder. It is expelled into the duodenum in gallbladder bile via the cystic. And common ducts by gallbladder contractions provoked by physiologic responses to eating. Only a small amount of Ursodiol is excreted into urine. This medicines site of therapeutic actions is in the bile, liver, and gut lumen. Why use Actigall (Ursodiol, USP Capsules)? 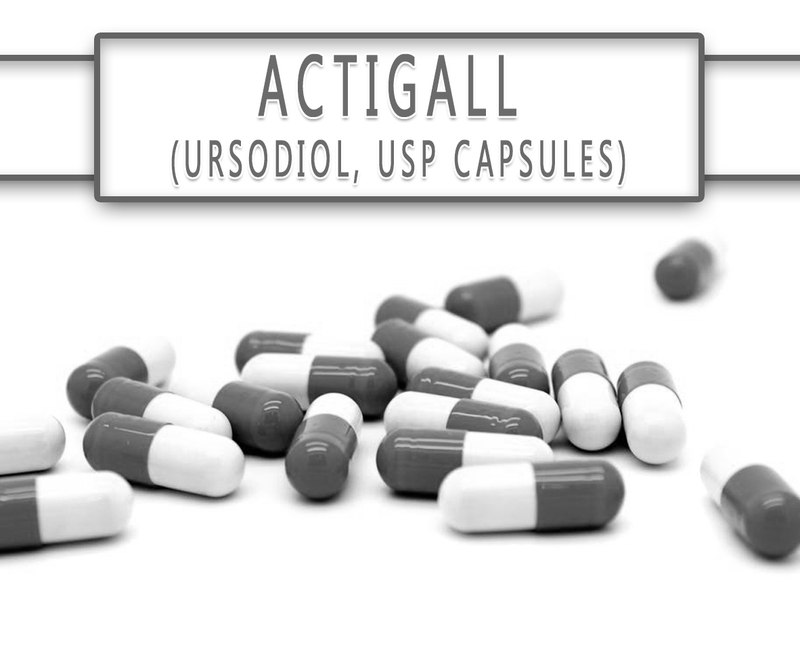 Actigall (Ursodiol, USP Capsules) is a bile acid that is naturally found in the body. This is available as 300mg capsules suitable for oral administration. This is a naturally occurring bile acid that is found in small quantities in normal human bile and of certain other mammals. Actigall is a white powder freely soluble in methanol, ethanol, and glacial acetic acid. This is a bitter-tasting. The Food and Drug Administration (FDA) has approved this medication. You can buy this here at its affordable price. How to use Actigall (Ursodiol, USP Capsules)? The recommended dose of this medicine depends on your medical condition. This is usually taken 2 to 3 times a day, taken by mouth. Do not take more than the prescribed dosage. Take this at the same time each day. What are the side-effects of Actigall (Ursodiol, USP Capsules)? If the side effects persist or worsen, call your doctor right away. Do not share this medication with others who have the same condition as yours. Before taking this drug, tell to your doctor if you have any allergies or medical history. Keep this away from the heat and away from the reach of children.